There will be an evening puja in the Temple at Amaravati until midnight on Wednesday 31st December. 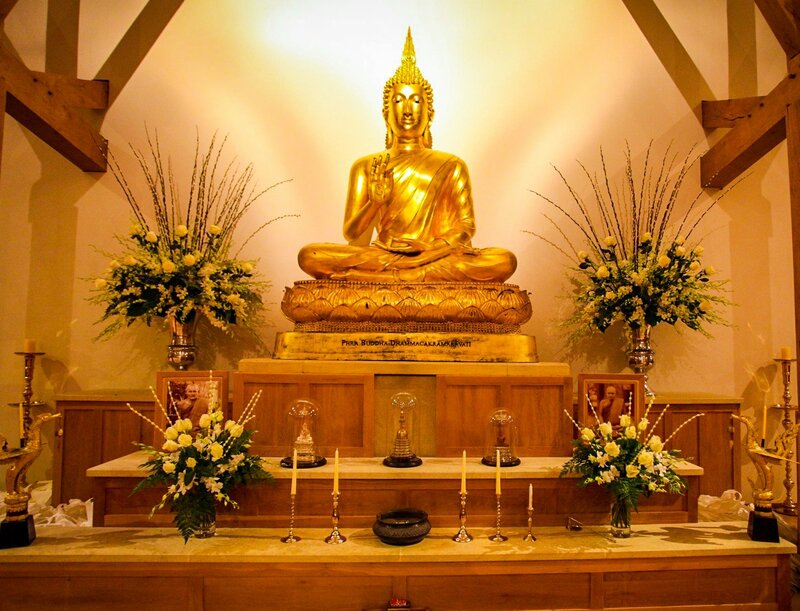 This will begin with chanting and meditation at 7.30pm, followed by a Dhamma Talk. Then, following a time for meditation, there will be Paritta chanting at 11:30 PM to see in the New Year. After midnight, warm drinks will be available in the Sala.